How to shake your stuff on the battlefield. On this page you'll learn how to dance in Fortnite: Battle Royale, and use your dance emotes to shake your stuff with the very best. 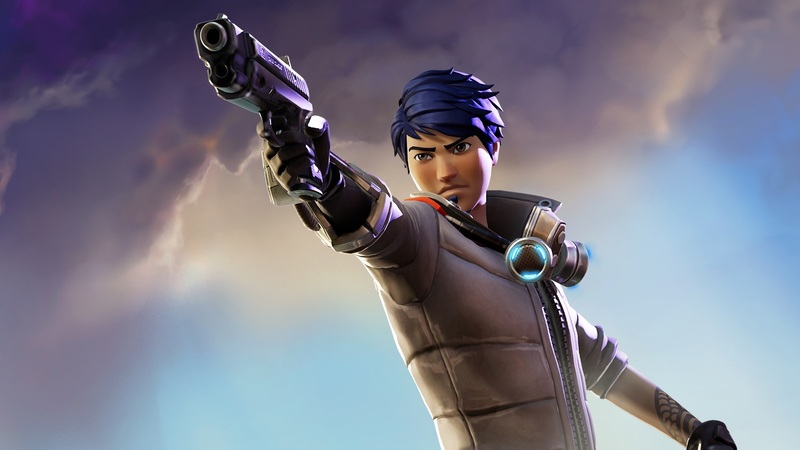 It goes without saying that the main objective in Fortnite: Battle Royale is to track down your enemies and blast them to pieces with your collection of weapons, build defensive forts to keep the rest of the pack at bay, and just generally outlast the competition until you've bagged that Victory Royale. That doesn't mean you can't bring a little extra style to proceedings though, and you actually have access to a number of different ways to express yourself on the battlefield. Who knows, you might even make a friend or two along the way? If that all sounds just a little too reckless for your liking though, the good news is that you can actually bust out some dance moves while chilling in the pre-game lobby area. It's a nice way to show off your cosmetic purchases, and will certainly make your stand out from the rest of the pack! If you've not got a clue about how to dance in Fortnite: Battle Royale though, we've pulled together all of the controls for each and every platform into one place. Not only that, we've also provided some extra detail about how you actually unlock each of the dance emotes we mention as well, so you can start building up your repertoire! Here’s how to unleash your moves on each platform. PS4: Down arrow on D-Pad. Xbox One: Down arrow on D-Pad. Here’s how to get hold of even more dance moves. You’ll need to purchase the Battle Pass with V-Bucks. V-Bucks cost real money and you can purchase them through the in-game store. Once you’ve got purchased the Battle Pass, you’ll progressively unlock rewards the more you play. Rewards include new dances, including “Floss” and “The Worm”. If you're interested in getting hold of the Battle Pass, here's how to get V-bucks for free! Sometimes we include links to online retail stores. If you click on one and make a purchase we may receive a small commission.